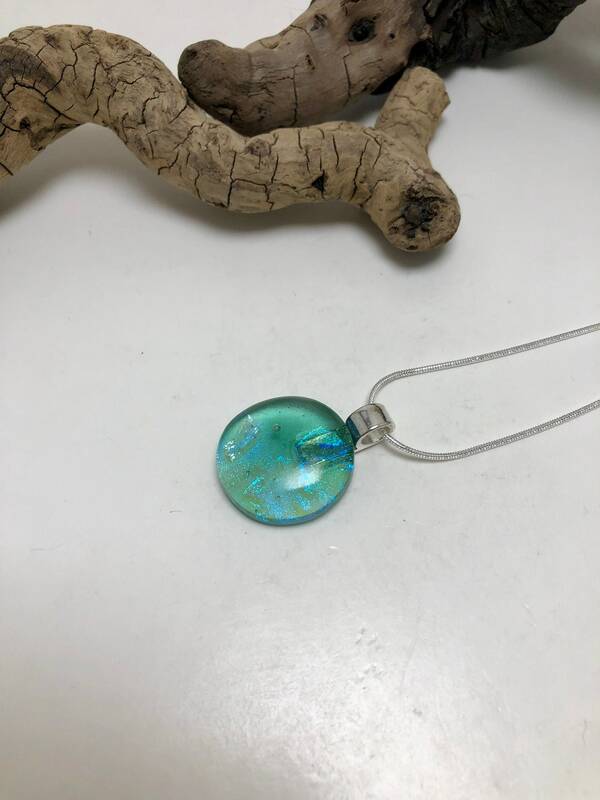 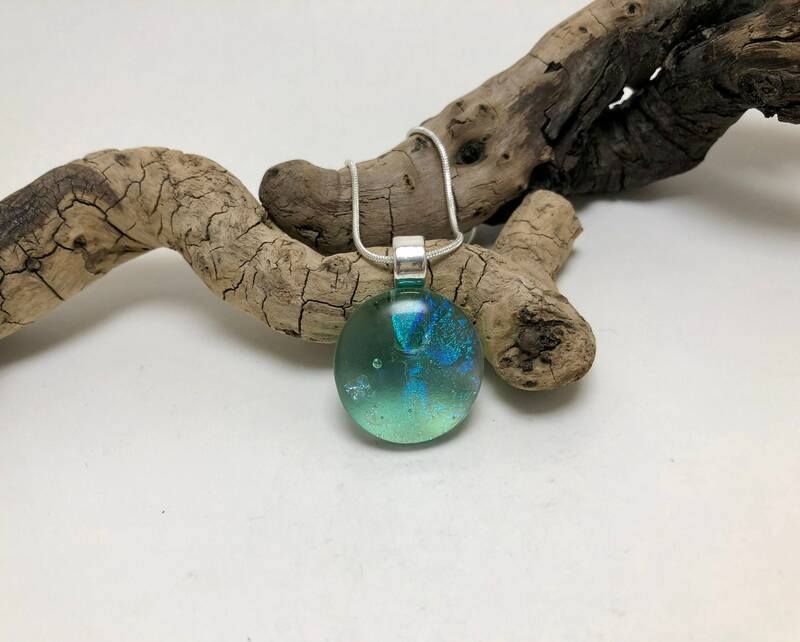 This pendant is handmade dichroic glass. 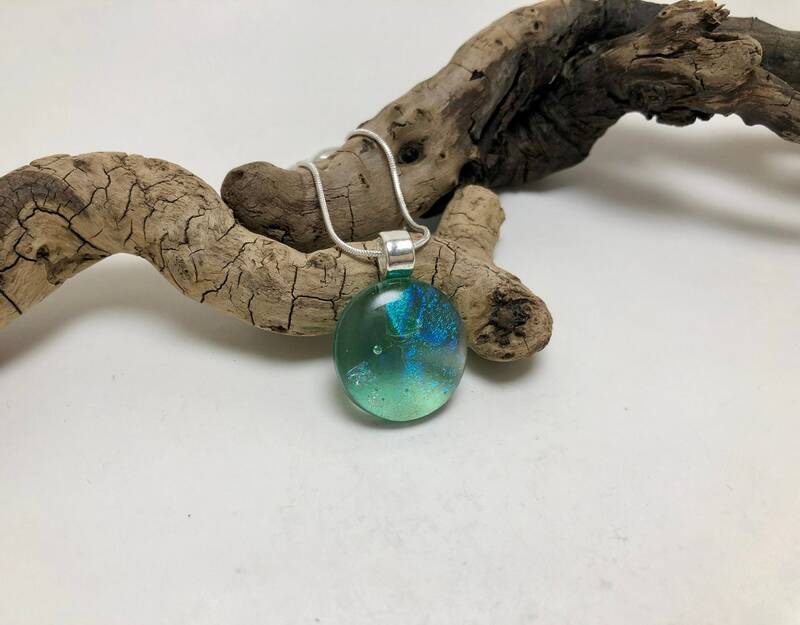 It is stunning and the picture does not capture the real essence of the pendant. 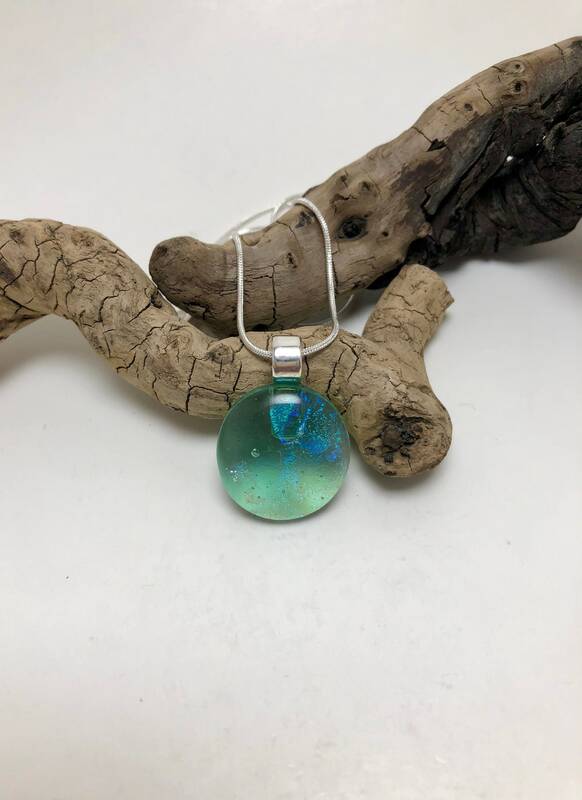 All my jewellery is handmade by me , from the art work to the the dichroic glass.